On Tuesday, the Republican National Convention held a roll call vote of the states in order to officially give the GOP presidential nomination to Donald Trump, Reuters reported. Although critics of the business mogul attempted to force a roll call vote on Monday to change convention rules so that delegates could vote based on conscience rather than on the results of their states' primaries, they were ultimately unsuccessful, and Trump was able to obtain the nomination without too much trouble. According to CBS News, the past 16 GOP conventions have yielded nominations after the first round of votes, so it is unsurprising that the same thing happened this year. Before the roll call vote began, there was an effort to make Texas Sen. Ted Cruz a contender for the nomination — he was the only other GOP candidate who had the required eight-state delegate majority — but this effort also failed. Trump went into the roll call vote having accumulated roughly 300 more delegates than the 1,237 he would have required to obtain the nomination. The roll call vote was fairly standard. When called, a representative from each state's delegation praised their state at length before stating how many votes would be cast for each candidate. Anticipating further attempts to challenge Trump's nomination, the Trump campaign was prepared for potential protests on the floor, and convention rules required the convention secretary to record votes as they were supposed to be cast, even if protest votes attempted to change the number of delegates bound to a particular candidate. The roll call vote wasn't entirely uneventful, however. Delegations from multiple states declared that "Blue lives matter," and Ohio's delegation loyally cast all of its votes for its governor, John Kasich. Unsurprisingly, the roll call vote did not need to proceed to completion for Trump to secure the nomination. He was able to obtain the 1,237 delegates he required after the delegation from New York cast its votes, which was to be expected. As is tradition, Trump's home state of New York passed during the first round of the roll call vote so that it would be the state to put the nominee over the top — and it was Trump's son, Donald Trump Jr., that cast the votes for New York. 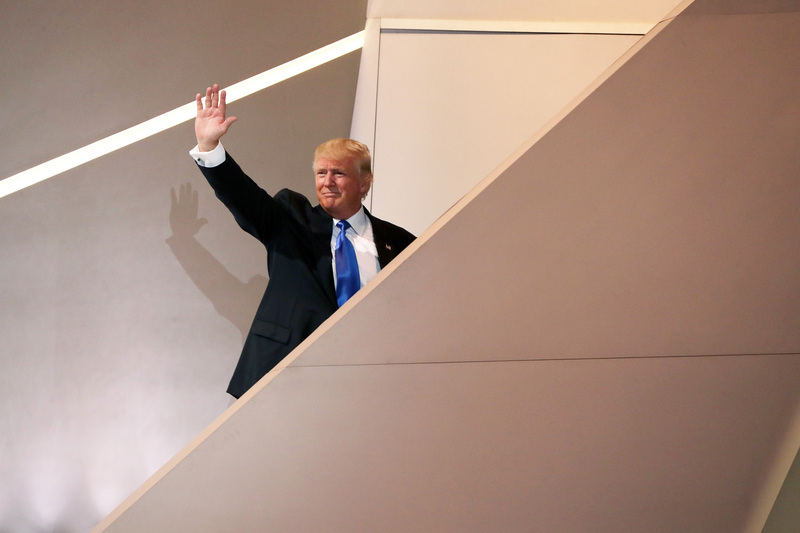 After more than a year of campaigning and stirring up controversy on the campaign trail, Trump has finally clinched the GOP nomination, despite the prolonged efforts of #NeverTrump Republicans. Now, he turns to the general election, where he will face presumptive Democratic nominee Hillary Clinton, as well as third-party candidates Jill Stein and Gary Johnson.